Prerequisite: Follow steps 1, 2 and 3 in my previous post. In my previous article I showed how Elegant font icons can be inserted in HTML. 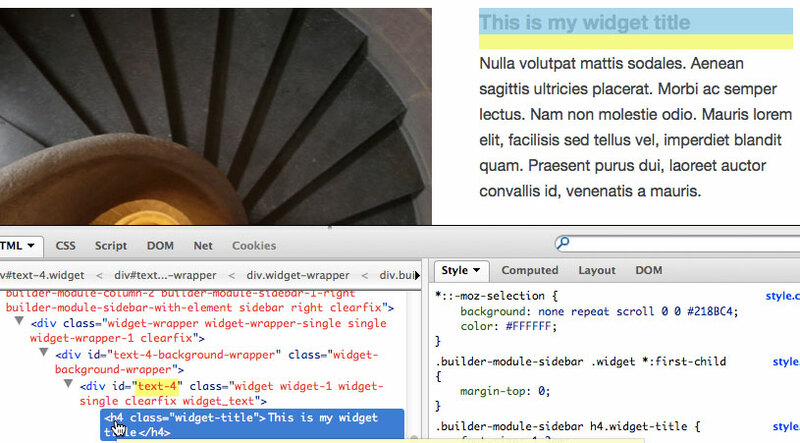 They can also be inserted before or after an element using CSS. where #text-4 h4.widget-title is the selector to target a specific widget’s title, which can be written using a tool like Firebug. The possible values of content for various icons can be obtained from elegant_font/HTML CSS/style.css.